English-Slovak School BESST is a complex of schools from kindergarten to high school, where we are consecutively upbringing, educating and taking care of children from the early age of 3 years in kindergarten, through their years in primary and secondary school up to adolescence in high school. BESST is the only school in Trnava region, which offers education according to the international standards of Cambridge University. Our history began in the year 2009 and today we belong to the prestigious schools with a statute of a Cambridge International Centre, which allows us to provide education accepted throughout the whole world. The high quality of education process is accompanied by harmony, friendly atmosphere together with modern and comfortably equipped environment. We are continuing on a journey that is pursued within the ‘best schools’ in the European Union. On a journey of preparation of a child’s complex personality for life in a modern society. We develop our pupils´ communication skills in bilingual education. Lessons are conducted in two languages - in Slovak and English. Since grade 1, pupils have assigned in their timetables a few lessons with a native English teacher. Pupils also "speak" in other lessons such as Mathematics, Science (Natural Sciences), IT, Art lessons as well asPhysical Education. Throughout the time of study, Mathematics teaching is enhanced, applying both Slovak and Cambridge standards. We are a pioneer school in the area of teaching Mathematics following the method of Professor Hejny. Children thus use their natural curiosity, creative thinking, and learn by discovering. What pupils learn is very important in every school. For us, however, it is also important how they learn it. We lead our pupils to independence in order to be able to organize their own learning process, to judge their work and, if necessary, to seek help. Our goal is to get a large part of the curriculum learned by pupils directly in the lesson. Creative expression of their ideas, experiences, emotions and opinions through music, literature and visual arts is supported in pupils not only in lessons, but also in the children's school club. We offer a great number of creative and music after-school activities. The school is equipped with the most up-to-date technology. In each class there is an interactive board or data projector. All our pupils and teachers also have iPads, which are everyday helpers in their studies and work. We realize that information and communication technologies offer many possibilities, but they are also a serious threat in case of unreasonable behavior. Therefore, with all, even the youngest pupils, we spend enough time teaching them to identify the potential threats and to behave safely on the Internet. We support our pupils´ good ideas, we lead them towards planning and initiative. It is important that our students are able to present their ideas as well as make them happen. We value our pupils' ability to plan, organize, manage and evaluate. We help pupils to learn basic skills in the area of financial literacy directly in lessons in an experimental way. Every week, we begin with a morning ellipse, a common conversation of pupils with their class teachers. Pupils have an opportunity to share their experiences, achievements and problems. They learn self-expression at the same time as listening to the others. Children are led to teamwork, mutual respect and help. Each day our pupils have a 45-minute break - outdoors. In the school area, they can play ball games, compete, play on the playground, or jump on the trampoline. We regularly organize ski and snowboard trips and Outdoor School weeks. Children also have the opportunity to attend sport after-school activities such as football, floorball, dancing, swimming, tennis. We teach our pupils to move and eat healthily. We obtained the Cambridge International Center status in May 2011. It allows us to provide internationally recognized education that is necessary for our pupils to enter the best universities in the world later on in their lives. 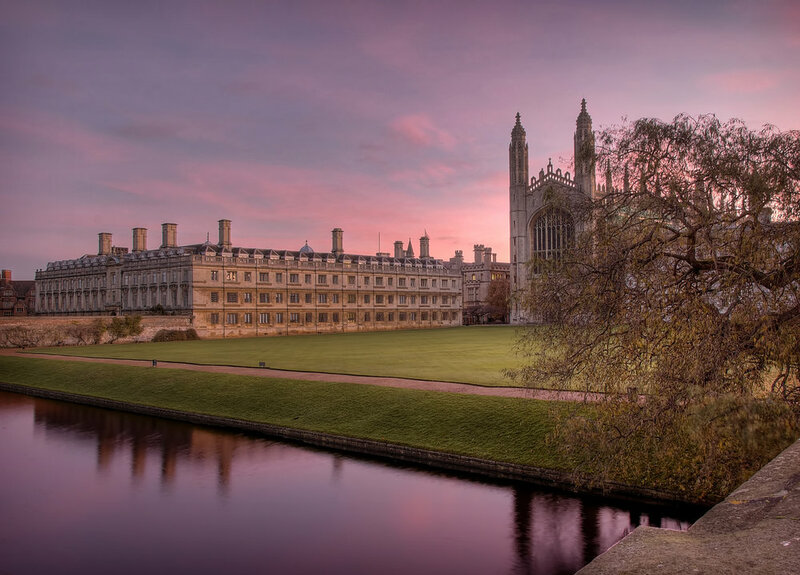 We share the academic values of the University of Cambridge and raise our students to become responsible, critically thinkers, innovative and curious people. We teach them to believe in their own abilities, while respecting others. At primary school we offer the international program in Math, Science and English language. It consists of two stages: The CAMBRIDGE PRIMARY PROGRAM FOR years 1-6 and The CAMBRIDGE SECONDARY 1 PROGRAM FOR years 7-9. Every year (beginning with year 3) pupils sit and are assessed by the school’s internal PROGRESSION TESTS. These are then evaluated by our teachers using official assessment criteria from Cambridge University. According to the individual results as well as class results, we monitor their progress in the key subjects of english language (as a first or second language), math and science. At the end of year 6 pupils write CAMBRIDGE PRIMARY CHECKPOINT TESTS and at the end of year 9 CAMBRIDGE SECONDARY CHECKPOINT TESTS. These tests are sent to Cambridge, where they are evaluated and marked. This provides the pupils, parents, and the school with objective feedback about their strong and weak points, as well as comparison with the international average. Pupils receive Cambridge University certificate for their achieved results.